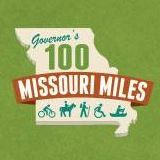 The second edition of the bicycle maps for the greater Kansas City area have been released by the Mid-America Regional Council (MARC). The new edition fixes some of the problems and omissions of the first edition and has more useful information. The map shows all roads/streets that have been adopted by local communities as bicycle routes. The map is available online in PDF format.